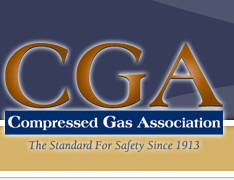 The Gases and Welding Distributors Association (GAWDA) and the Compressed Gas Association (CGA) maintain a partnership which allows GAWDA Distributor and Canadian Distributor Members free access to CGA’s library of over 300 electronic safety publications. Under the publication subscription program, CGA provides free access to all electronic publications to one person per location from each eligible GAWDA distributor member company. CGA also provides discounted prices on hardcopy publications, the CGA Handbook of Compressed Gases, and safety videos. In addition, GAWDA and CGA co-sponsor a Distributor Safety Award which recognizes the distributor with the greatest improvement in safety performance over the past 5 years. This prestigious award is presented each year at GAWDA’s Annual Convention and CGA’s Annual Meeting. To qualify for the free publication subscription program and the award program, the applicant must be a member of GAWDA in good standing, must be from GAWDA’s Distributor or Canadian Distributor membership category, must not be a former member of CGA with a membership termination date later than October 10, 2011, and must provide the required safety data with their application.